AUSTIN – Two notable bills authored by State Senator Royce West (D-Dallas) cleared major legislative hurdles on the way to becoming law Saturday – May 27, 2017. Senate Bill 12 (SB12) will create a statewide grant program for the purchase of protective vests to be worn by law enforcement officers. The bill was inspired by the tragic shooting that took place in Downtown Dallas on July 7, 2017. SB12 was approved by Texas Governor Greg Abbott Saturday and becomes law, effective immediately. Senate Bill 30 (SB30) addresses interactions between law enforcement and citizens with the goal of providing information to citizens and additional training for members of law enforcement. It comes in recognition of numerous incidents where unarmed, mostly minority males, suffered tragic and fatal encounters with police officers. Senator West believes both bills speak to issues that are important to constituencies across the country. 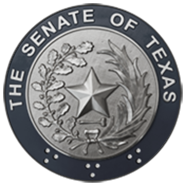 SB12 had unanimous support in the Senate and passed the Texas House by a vote of 141-1. The bill creates a $25 million grant program that will be administered by the Governor’s Office. All Texas law enforcement agencies will be eligible to apply. Under the grant, departments will be able to buy vests or interchangeable vest plates that are capable of withstanding fire from automatic weapons like those used when five officers were killed following a rally in Downtown Dallas. Ironically, the rally was staged in protest of numerous officer-involved shootings that have taken place in recent years; and was held just days after the deaths of Alton Sterling in New Orleans (7/5/16) and Philando Castile in Milwaukee (7/6/16). Under SB30, the State Board of Education, working through the Texas Education Agency (TEA) will create instructional materials that will be added to high school curriculum, driver education courses and driver safety courses. In addition, those training for jobs in law enforcement and veteran officers will receive content developed by the Texas Commission on Law Enforcement. Senator West says work on SB30; the Community Safety Education Act, actually began a year ago during a conversation with the Texas Department of Public Safety (DPS). Senator West thanks SB30 joint author, State Senator John Whitmire (D-Harris), for his efforts in moving the dialogue forward through interim discussion. Lt. Governor Dan Patrick supported both SB12 and SB30 by making them priority legislation and assisting their movement through the legislative process. SB30 now awaits final approval by the Governor.